After a gunman entered gay Pulse nightclub in Orlando and took the lives of 50 people, there was no shortage of tributes pouring out to honor the victims of the Florida attack. But, shortly after Obama responded to the shooting, an official tribute to the victims was announced. 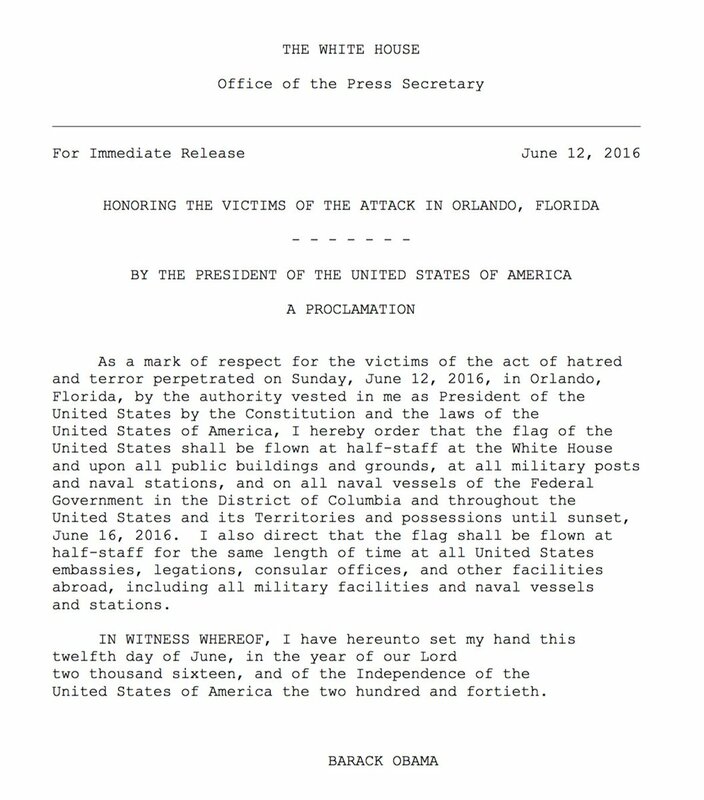 The White House called for all flags to be flown at half-mast in support of the victims, not only at the President's home, but also at "all public buildings and grounds, at all military posts and naval stations, and on all naval vessels of the Federal Government in the District of Columbia and throughout the United States and its Territories and possessions." Flags will continue to be lowered until sundown on June 16. And the flags being lowered is just one reminder of those values, and how we will rise again.